Maritzburg will play at home for their opening 2015/ 2016 Absa Premiership match, and will take on PSL returnees, newly promoted Jomo Cosmos. The game is set for Monday 10th of August 2015 and sees Maritzburg United hosting Jomo Sono’s team at the Harry Gwala Stadium, 17h00 kick off. The match will be a first official league game in charge for new Team of Choice manager Mandla Ncikazi, who replaced Steve Komphela in the off-season. Ncikazi and his team will however get their first taste of competitive action for the new season when they partake in the 2015 MTN8, with the opening round of games scheduled for August 4th and 5th. The draw for the MTN8 will take place on July 20, 2015. Click here to view the full 2015/ 2015 Absa Premiership season fixtures for all teams. 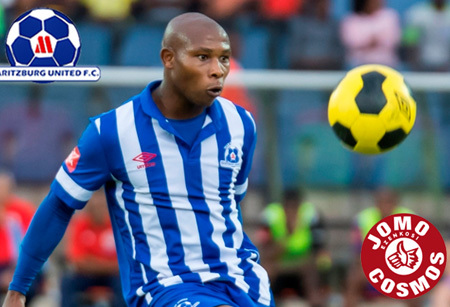 Maritzburg will play at home for their opening 2015/ 2016 Absa Premiership match, and will take on PSL returnees, newly promoted Jomo Cosmos.Click here to view the full 2015/ 2015 Absa Premiership season fixtures for all teams.